In 1908 a German brewer founded the “Ostbayern” brewery in the city of Kropotkin, situated on the river Kuban. Unfortunately, during the Second World War the brewery was badly damaged. It was rebuilt in 1953 in Kropotkin allowing production at the brewery to be resumed. Between the 1970s and 90s the brand was highly sought-after in its core market around Krasnodar and also far beyond its borders. During the Perestroika movement in the 1990s, the brewery had many owners until it eventually went bankrupt. This all turned around in 2005 when Mikhail Homenkov acquired the brewery. Today the brewery is better known as Krop-Pivo and equipped with a state-of-the-art Ziemann Holvrieka brewhouse and cold block. In 2018 the brewery looks forward to celebrating its 110th year anniversary. Mikhail Homenkov developed and established the new brewhouse in 2009 together with Holvrieka, the Danish stainless-steel tank manufacturing company. This relationship built on the classical brewing tradition practiced at the brewery and combined it with a new state-of-the-art brewing technology. This was the start of a long-lasting cooperation. In subsequent years the brewery has been expanded further with an additional 13 cylindro-conical tanks in 2010, with 10 more in 2011, another 14 tanks in 2013 and another 5 CCTs in 2016. “Holvrieka products were the locomotive of our successful market entry and our continuous growth” emphasised Homenkov. During the last round of expansion in the fermentation and storage capacity, the brewhouse reached its maximum production limit. Homenkov explained that “due to the rapidly growing demand in the market, we had to increase our beer output. However, the modernisation of the existing brewhouse without interruption of production was not possible even in the winter season where beer demand is lower. Therefore, we focussed building a completely new brewhouse”. Space was tight for the installation of the new brewhouse, which also needed to include several silos and the new malt intake system. In addition to this, the new Brewhouse needed to be in production in Summer 2016 with a decision to build only happening in Autumn 2015. “Due to the shortness of time, this was not easy for both the supplier and for us, who were responsible for the architecture and construction”, said Homenkov with hindsight. 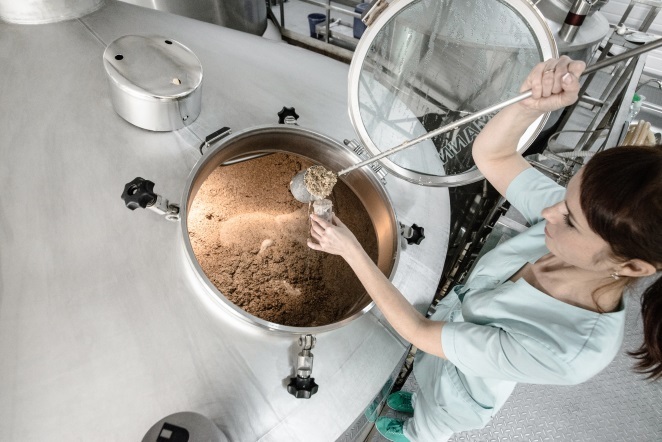 It was much easier for Homenkov to work with Holvrieka in the brewhouse area as they had recently merged with brewing technology provider Ziemann. Homenkov explaining his choice said, “The offered solution has met our ideas in terms of performance and technology. 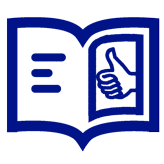 In addition, we were already able to convince ourselves of the high reliability of their plants and their good service”. The maximum annual capacity of the new brewery is now 650,000 hl. This capacity expansion alongside other investments has realised increases in the raw material efficiency, improvement in the beer quality and realisation of energy-saving technologies. Homenkov pointed out “We have a substantial production increase with virtually the same energy consumption. The specific energy requirement declined significantly. Our technologists have also noticed a higher extract yield and our customers a better taste stability.” This feedback is from over one and a half years of operation. Originally, the plan was to shut down the old brewhouse and only to brew with the new brewhouse. Now both brewhouses are operated in parallel to meet the large demand in the market. In order to keep up with this growth the further expansion plans at the cold block are planned. “I am highly satisfied with the project executions delivered by our partner and for our future expansions certainly will look forward to cooperate with ZIEMANN HOLVRIEKA again”. Krop-Pivo offers a wide range of beers with eleven types currently available. The sales and marketing is focussed on the Kuban region, the Black Sea Coast, the Crimean peninsula as well as many important centres of the Russian Federation, such as Rostov, Volgograd, Kazan, St. Petersburg and Moscow. The brewery intends to increase its overall production capacity for this core market by another 50 percent by the end of 2018. The production of attractive non-alcoholic beverages based on natural syrups and natural Kvas shall round off the range of products in the future. This confidence towards growth is based on a strong foundation. 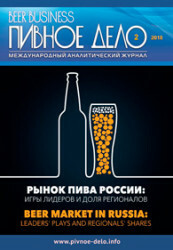 In the last few years there have been several signs of greater stability in the Russian beer market. Factors such as the economic development, the demographic and supply are all favourable. For example, the overall economic situation in Russia is more stable than in previous years. In times of changes, beer has always been a popular beverage. The volume of beer consumed by various age groups in Russia is more balanced. Meaning that the overall market is broader and other consumer segments can compensate the breaking-off of a “beer generation”. 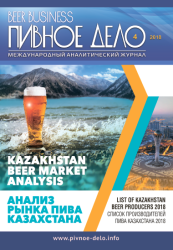 Furthermore, the decline in the sales volume of large international brewery groups has been compensated by the growth of small and medium-sized breweries such as the owner-managed breweries like Southern Russian LLC Krop-Pivo in Kropotkin. 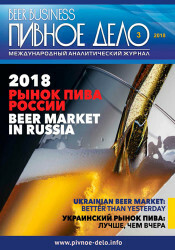 The trend in Russia is for modern brewing technology up to 200 hl cast out wort production scale has been growing steadily for quite some time.